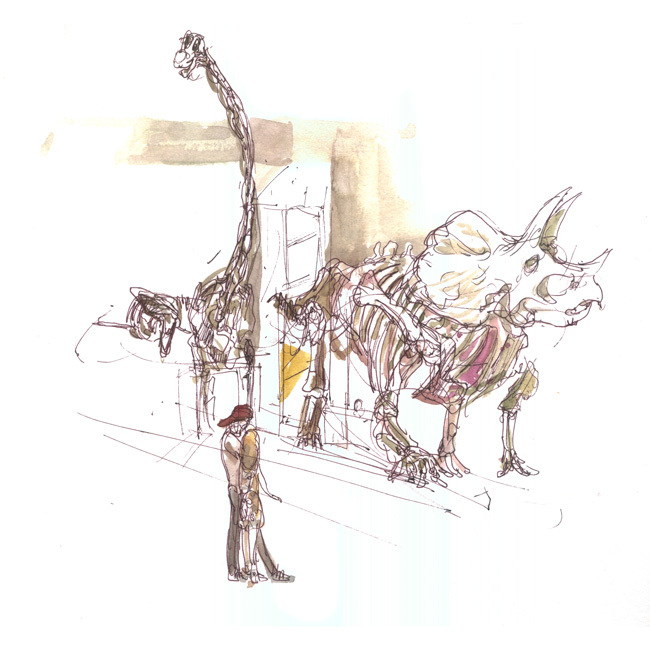 [by Shiho Nakaza in Los Angeles, California USA] I am honored to be invited by Los Angeles County Natural History Museum with a group of fellow sketchers to attend their L.A. Nature Fest event last weekend. I loved seeing many colors and shapes of plants in bloom at the Nature Garden, and it made me appreciate the biodiversity of this area, even in the middle of the city. I was introduced to a shadow garden by a docent while I was hunting for a place to sketch. This is a small habitat inside the NatureGarden on the grounds of the museum that allows the birds to feed freely. The birds are well-camouflaged but I saw more than three or four different types of birds in the short time I did this sketch. The event was well-attended by families with kids. 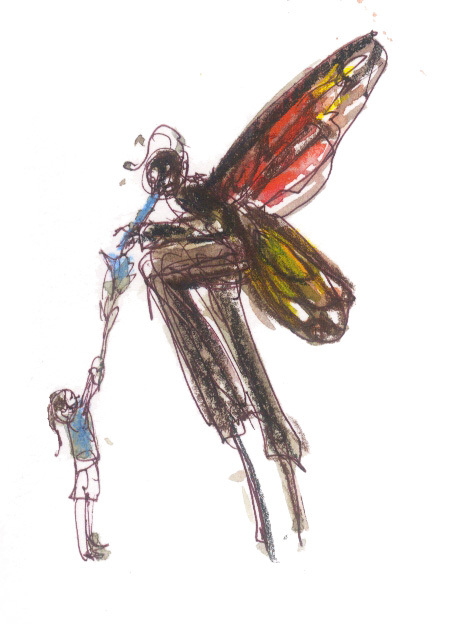 A stilt-walking butterfly performer delighted kids, and it made me smile, too. 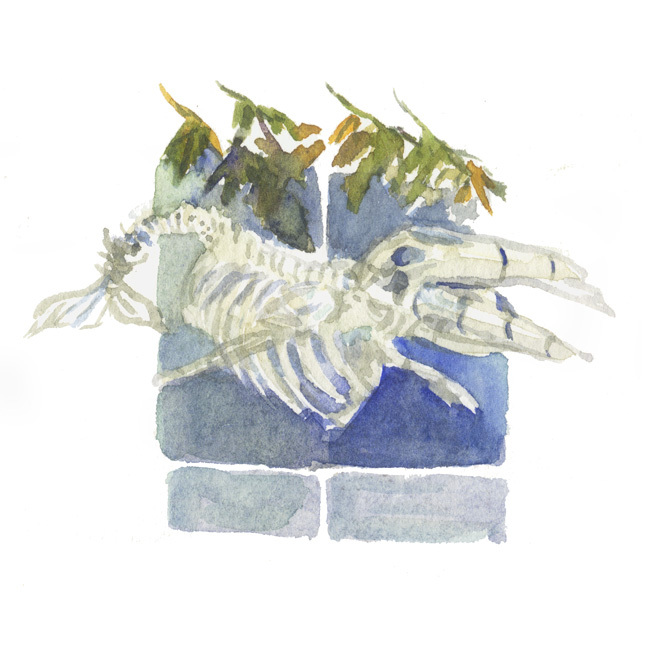 While I was painting outside, the contrast of oak leaves in the foreground and the graphic shapes of whale skeleton in the glassed interior caught my eye. It was not too hot, but as the afternoon wore on, I decided to step inside to cool off and chill with the dinosaurs. 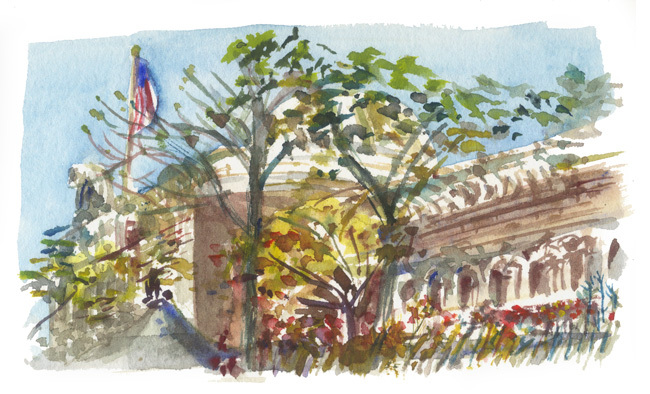 While I like to do a "classic" museum sketch, I enjoyed painting outdoors, too!